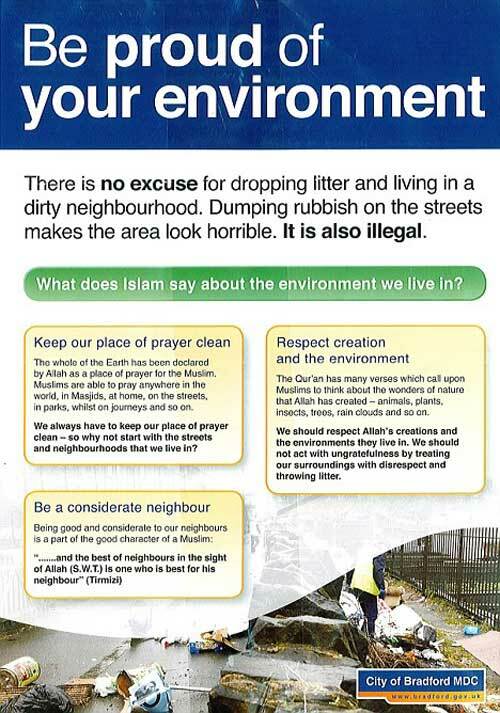 BRADFORD Council has targeting god-fearing Muslim in its anti-littering leaflets. However, the Telegraph & Argus reports that the 16,000 of the full-colour flyers were pulped when councillors spotted the potential to cause offence. Well, green is a big colour in Islam, so, we guess, Islam is environmentally friendly? Although the koran is printed on dead trees, so, there is room for heted debate.